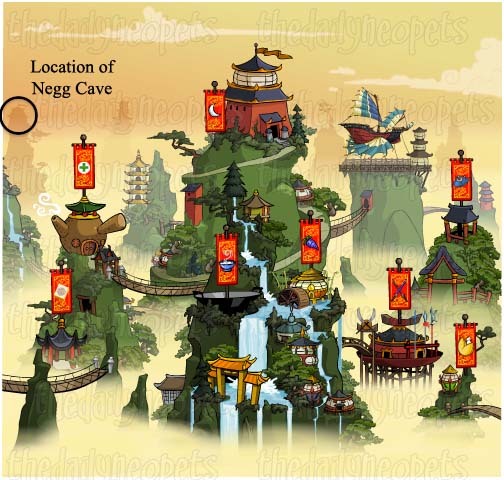 On the 27th Day of Hiding Y14, a new daily was introduced to Neopia, The Mysterious Negg . The puzzle itself isn't new. 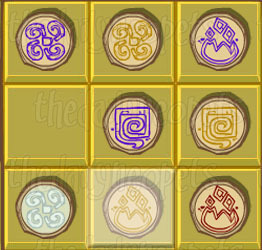 Those of you who participated in the Y14 Festival of Neggs may remember the puzzle that needed to be completed to obtain the Negg Amulet to defeat the Neggbreaker challenger. The puzzle is exactly the same and can now be completed daily for a prize. This is the puzzle you need to solve. The solution is fairly simple. 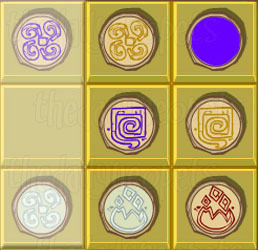 The 9 empty squares in the negg need to be filled by a coloured symbol. 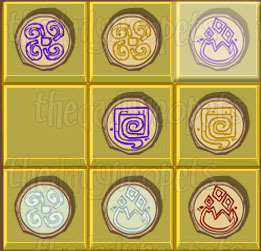 There are 3 colours and 3 symbols. 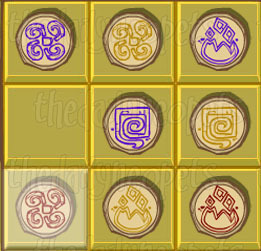 By the time your puzzle is completed, you will have each symbol on the board three times, one of each colour. This is basically a visual logic puzzle. 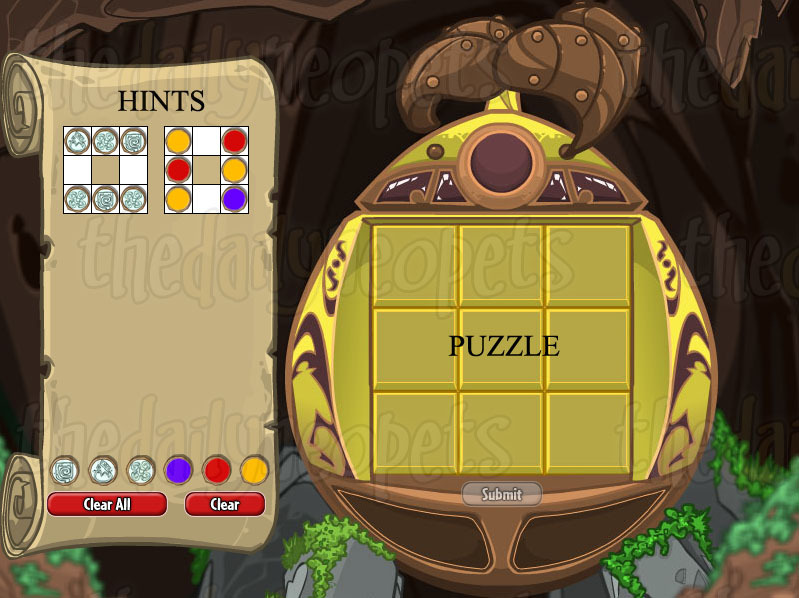 The idea is to use the clue "pieces" to deduce what each square on the puzzle will be. 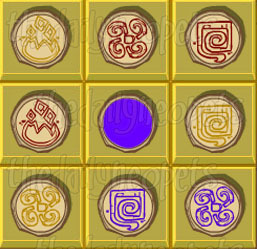 Imagine the "pieces" overlayed on the puzzle with each square in the clue representing one square on the puzzle grid. You can visualize it in your mind (especially with the easier puzzles), or even make your own grid and pieces out of paper or in a graphics program to physically move the pieces around to see how they fit onto the puzzle grid. 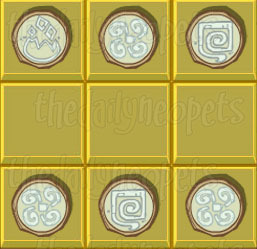 keep in mind, the clues cannot be rotated and must be placed onto the grid exactly as they are. The puzzle above is extremely easy. 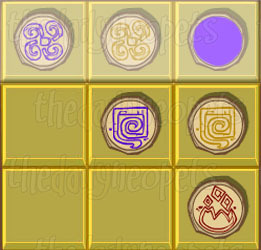 Each clue "piece" can only be put on the grid one way: directly overtop with all the squares of the clue lining up with all the outer squares of the puzzle. Let's place the clue on the left of the scroll. 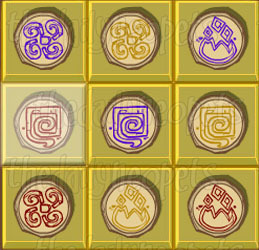 According to this clue, the top left square of the puzzle needs to be a flame, the top middle needs to be a flower and the top right needs to be a shield while the bottom left square needs to be a flower, the bottom middle needs to be a shield and the bottom right needs to be a flower. 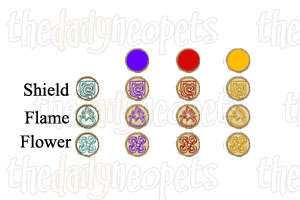 Let's place those onto our puzzle first, since we know what they are. 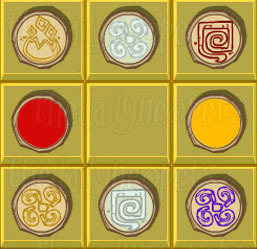 To place a symbol or colour onto your puzzle, click the symbol/colour you want to use on the bottom of the scroll with the clues and them click the square on the puzzle where you want to place it. 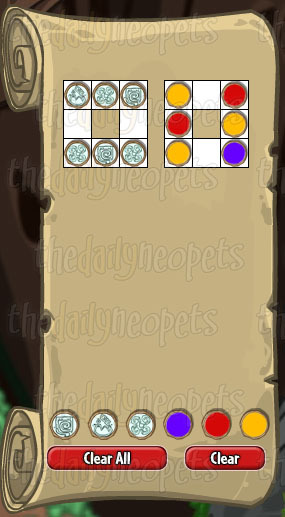 Clicking "clear all" clears everything you've placed on your puzzle board so far and clicking "clear" resets your colour/symbol choice for placing on the grid. For beginners, I would recommend clicking "clear" after each grid placement so you don't accidentally place the wrong combination the next time you make a selection for the grid. 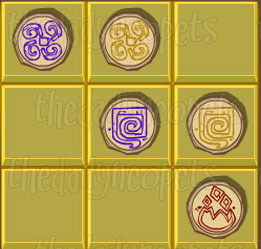 Now that all our clues have been translated to the puzzle, we have final solutions for the four corners of the puzzle, are halfway to solving the middle squares on each side and, so far, have nothing for the middle, as none of our clues included the middle square. However, because we know the final combinations for some of the squares, we can use the process of elimination for the rest. 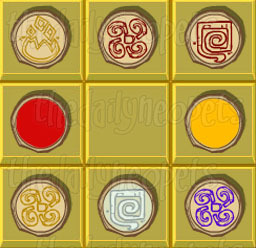 Remember how the goal of the puzzle was to have one of each coloured symbol on the board? This is how we can deduce the remaining solutions. Though this example was fairly easy, the concept is basically the same for most puzzles. Occasionally, there will be some trial and error when you have a clue or two that can go in more than one place, but those pieces are rare and the majority of solutions should come from process of elimination. We have compiled a page of examples of completed puzzles and the clues they were solved with here that may help you in trying to figure out your own puzzle. Because there are thousands of puzzles, we can't show all of them, but hopefully the clues and solutions will help you better understand how the puzzles work. We're then going to move on to the next biggest clue. Since the rest of ours are the same size, you could really pick any of the three to do next. I'm going to choose the horizontal piece with 2 blank squares and a purple on the far right. 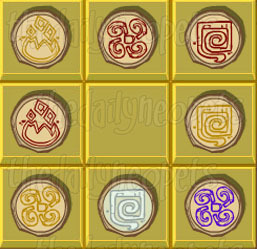 Once you have completed your puzzle, click "Submit" and received your prize! These are the prizes currently known to be awarded from the daily. As it's new, we're still gathering information. If you receive something not listed, feel free to send us a ticket! 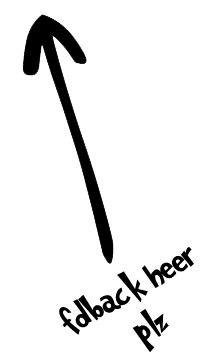 Skip itIf you're working on a clue that could be placed in more than one position on your grid, try working on another one. Once more clues are placed, you may find the possibilities for the the piece you skipped dwindle down to just one or two. 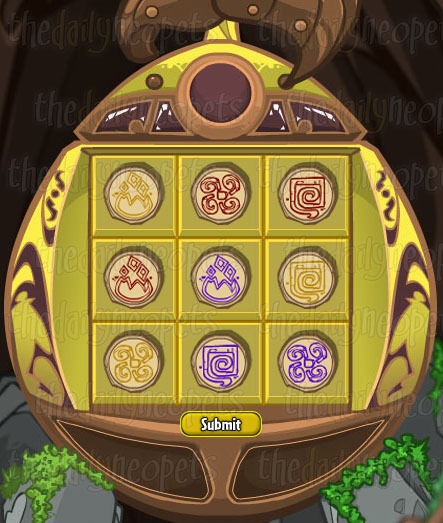 If you did not participate in the Y14 Festival of Neggs, you may have heard rumors about a Battledome Challenger and an avatar for beating that challenger. It seems that people are randomly being awarded the Challenger and/or avatar when completing this daily. However, note that the Neggbreaker is no longer susceptible to the Negg Amulet and has quite the set of formidable weapons. Good luck, battlers! 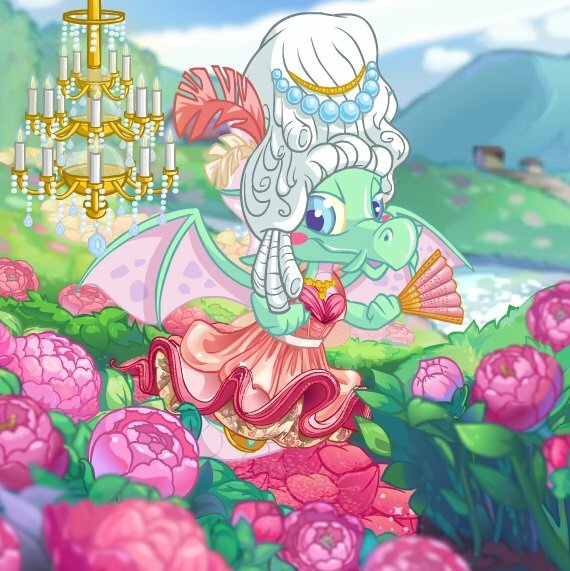 Don't forget to check off your ferocious new avatar at NeoAvatars!